Verizon stuffs more channels into its skinny bundles, including a package that emphasizes sports. Verizon Fios’ Custom TV channel bundles are getting chunkier as the company looks to bury the hatchet with ESPN. The story behind the story: Custom TV was a contentious move by Verizon, as it cut certain channels such as ESPN out of the core bundle. ESPN depends heavily on the carriage fees that those bundles bring, and sued Verizon shortly after the plans launched. The new version of Custom TV appears to have placated the Worldwide Leader in Sports; earlier this week, ESPN and Verizon hit pause on the lawsuit, saying they’ve made “progress in their ongoing settlement negotiations,” according to The Hollywood Reporter. Verizon isn’t changing the price of its Custom TV bundles, which cost $55 per month for the TV package. (The company also currently advertises a Triple Play bundle at $70 per month with a two-year contract.) But while customers are technically getting more for their money, they’re also losing some ability to customize. The old plan, for instance, allowed customers to build a bundle that included both Animal Planet and ESPN. That’s no longer possible under the new plan, because the former channel lives in the Essentials package, while the latter is part of Sports & More. 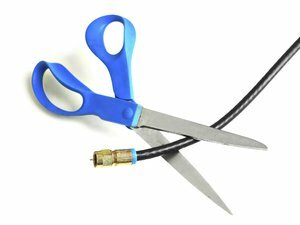 Without the ability to purchase ESPN in an add-on pack, customers who prefer Essentials as their core bundle are cut off from sports networks entirely.